Yanhua Mini ACDP is the innovative Key Programming tool that makes car locksmith NO longer needs soldering work. 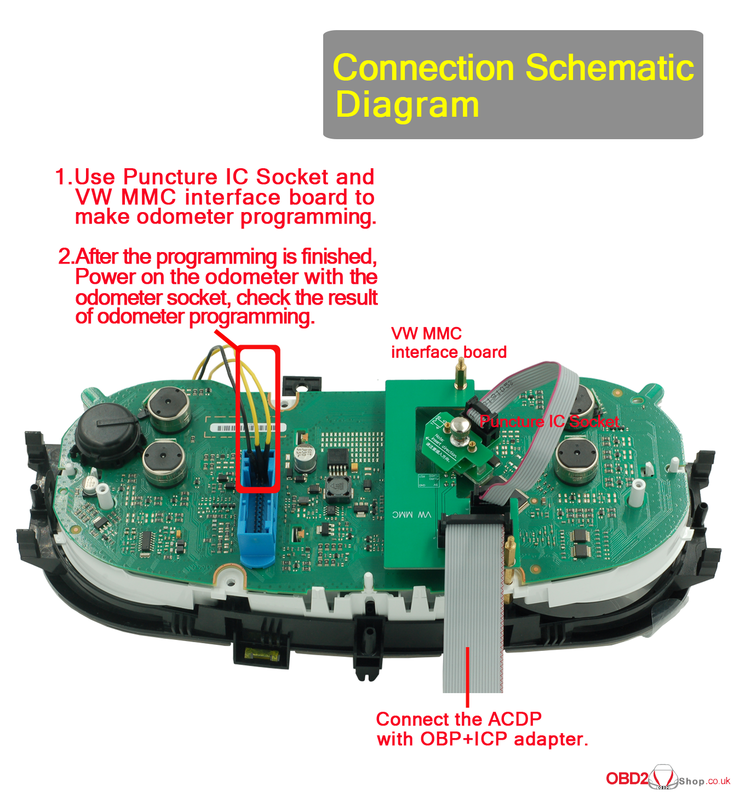 This post will guide you how Yanhua Mini ACDP Programming Master make odometer programming for VW MMC without welding. Step 1. Remove two original studs on the odometer dashboard. Use four M3*14+6 copper pillars to build up two support points. Step 2. Aim at the direction with copper pillar roughly, then carefully calibrate the probes location. Step 3. Press down the interface board vertically and lock the top two copper pillars. Step 4. 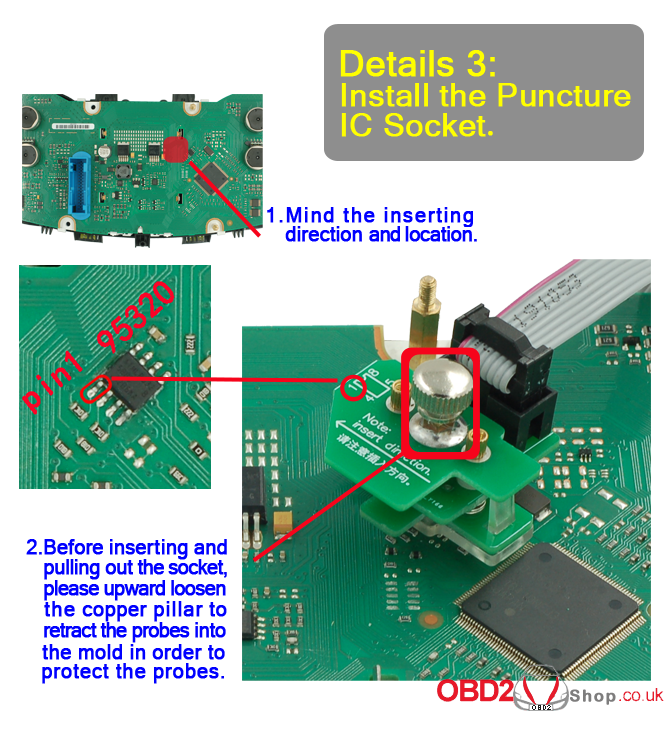 Install the Puncture IC socket: Push right first, then press towards to the LCD direction. 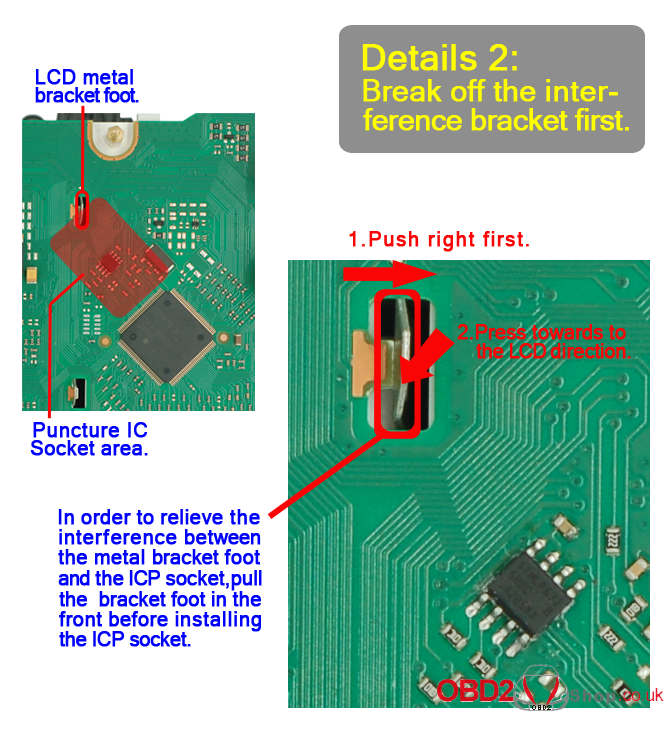 In order to relieve the interference between the metal bracket foot and the ICP socket, pull the bracket foot in the front before installing the ICP socket. 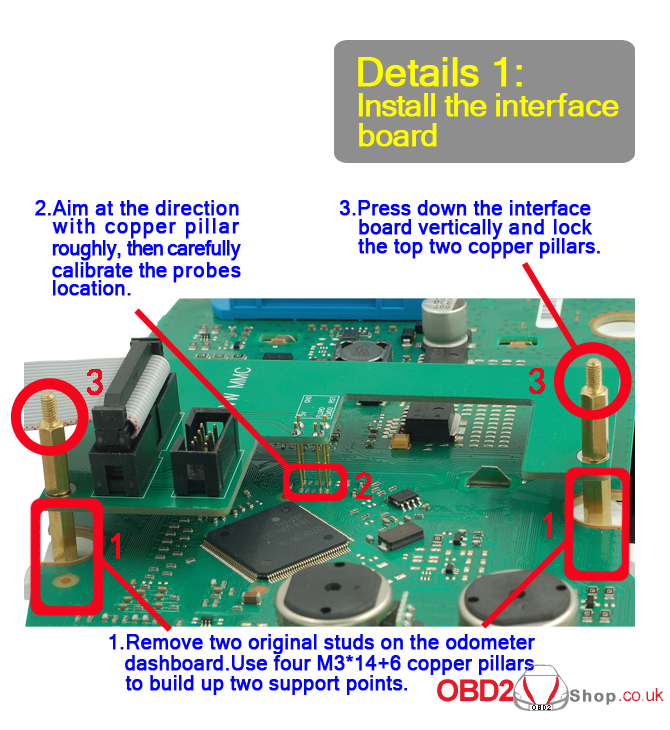 Note: Before inserting and pulling out the socket, please upward loosen the copper pillar to retract the probes into the mold in order to protect the probes, beside, mind the inserting direction and location. Step 5. Connect the Yanhua ACDP with OBP + ICP adapter and make odometer programming and check the result of it. New Yanhua Mini ACDP Programming Master the First in the World ! How to download Yanhua Mini ACDP Android IOS APP? How to connect a Bosch me 7.5.30 with Ktag BDM?